See how your small business can accelerate its profitability. Managing financial statements, including profit and loss statements (P&Ls), can help small-business owners move quickly toward their profitability goals. Although preparing a profit and loss statement can be a complex process, it’s possible to manage with a little practice and education. Let’s look at what a profit and loss report is, why it’s important, and what the benefits are. What is profit and loss, and why is it absolutely necessary for companies to manage? Profit and loss is defined as the monetary gain and loss of a business. While many small businesses focus most on net income, determining the profit and loss of your business is a beneficial way to identify red flags before they get out of hand. Although profit is an important indicator of the overall health of your business, you need to ensure you have enough cash flow to keep it running. What is a profit and loss statement? What does it include, and what benefits does having one provide? A profit and loss statement is a financial report that measures a company’s net income (both operating and non-operating) and expenses (such as income taxes) during a specific accounting period. Also known as an income statement, a P&L is comprised of several different components, including the gross profit, operating profit, non-operating revenue, and expenses. Profit and loss statements are invaluable to those who are managing the P&L. This responsibility usually falls on either a company’s CFO or the small business owners themselves. And by managing profit and loss statements effectively, companies can familiarize themselves with their cash flow, net income, and overall profitability—to then allocate budget and resources more efficiently. Brand new start-ups can estimate their income for the year by preparing a projected profit and loss statement, otherwise known as a pro forma. A profit and loss account keeps track of the annual net profit and loss of a business. Gross profit, which refers to the total earnings before any deductions, is calculated in the trading account. The trading profit and loss account shows the outcome of trading activities, which includes the profit earned or loss suffered on the purchase and sale of goods. What is the difference between a P&L statement and a balance sheet? Balance sheets and P&L statements are two of the most important financial documents for a business. A balance sheet is a list of long-term assets, liabilities, and equity. A P&L statement is an overview of how a business is performing by showcasing revenue, costs of goods sold, and business expenses. A simple profit and loss statement is fairly easy to read. Here’s a rundown of what each section means. Revenue refers to the money you’re bringing in from sales. To be profitable in business, it’s important to calculate your break-even point. Any revenue made above this point results in a positive net profit. Also known as cost of goods sold, direct costs refer to expenses you incur when making your product or delivering your services. In other words, any expense connected to the company’s products or services would go under direct costs. Gross margin is calculated by subtracting direct costs from revenue. A high gross margin is one of the best indicators of strong financial health. Operating expenses are any costs you incur to keep your business up and running. This typically includes rent, administrative expenses, marketing, salaries, utilities, and so on. Operating income refers to earnings before interest, taxes, depreciation, and authorization. You can calculate operating income by deducting operating expenses from your gross margin. Net profit, otherwise known as “the bottom line,” is the profit after expenses have been deducted from the total revenue. There are several financial tools and profit and loss templates available to assist small-business owners in preparing an income statement. A profit and loss report is usually included in the basic package of most online accounting systems. But if you aren’t quite ready to commit to one of these systems, you can prepare a simple profit and loss statement by creating a table on Microsoft Excel. Still, while it’s possible to make a profit and loss statement on your own, it’s a good idea to have a CPA look over your statements. Professional statement designs, affordable fees, and easy integration with Square, PayPay, and other apps, makes QuickBooks our top choice. QuickBooks helps business owners make an accurate and professional profit and loss statement. Its P&L reports show total income, subtotals for income or expense accounts, profit margins, categorization of expenses and losses, detailed transaction lists for any entry, customized percentages, and identifications of over- or underspending. Plus, QuickBooks offers easy integrations and affordable monthly fees. 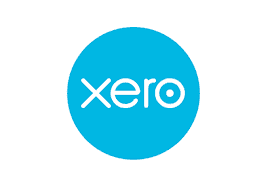 With a thorough help center, 30-day free trial and easy to use financial reporting, Xero is great for businesses looking for stellar customer service. Xero’s solid accounting software comes with easy-to-use financial reporting tools that allow business owners to understand their real-time cash flow. Each package covers the basics, including financial performance reporting—meaning you won’t have to worry about paying more for the reports you need. And if you run into a problem, Xero provides customer support and has an abundance of how-to articles and tutorials. It's simple and intuitive interface, complete mobile access and 30-day free trial is the reason we named it our most user-friendly option. FreshBooks gives business owners a detailed breakdown of profit and loss, so you’ll know exactly how profitable you are. Each one of its packages offer financial performance reports, and to better serve its customers, FreshBooks offers complete mobile access for iPad, iPhone, Android devices, and other gadgets. Choose between free and pay-as-you-go options and integrate with other financial statements with this affordable alternative. 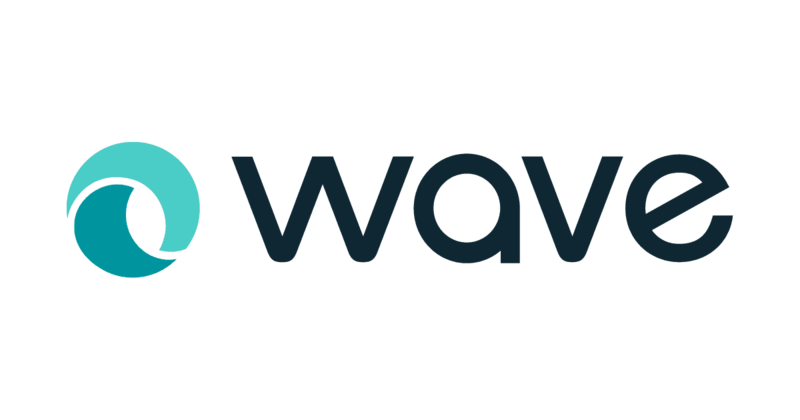 Wave has recently integrated P&L statements, balance sheets, and cash flow statements. Its financial reporting gives you the full picture when it comes to the health of your business. However, Wave’s number one selling feature is you only have to pay for extra services when you need them, which means the essential system is free with no strings attached. GoDaddy provides affordable packages that include convenient financial reports, and tons of security. GoDaddy Bookkeeping delivers real-time reports on profit and loss, total expenses, and more. Their platform is convenient even for business owners who don’t have accounting experience. Plus, they offer three affordable packages, ranging from $3.99 per month to $11.99 per month. For any business, strategic P&L management is important to keep earnings positive and minimize expenses. If you’re tired of not knowing where your business stands financially, create a simple profit and loss statement or give one of our favorite accounting systems a try. Do you prefer a different accounting system for tracking profit and loss? Tell us about your favorite system in the comments.